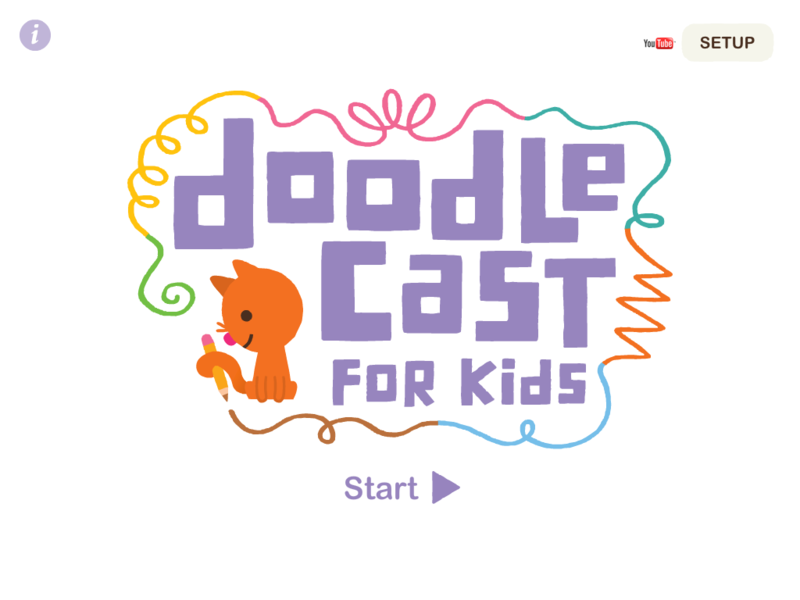 DoodleCast | Mrs. Anton's Class! Today I went to a sharing event for the iPad project at the DRC in the morning. It was awesome to see all the projects that the teams have been working on over the past five weeks! When I got back to school the children wanted to know where I had been so I commented that I had been sharing their awesome projects with other teachers in the district. They wanted to know all about it of course and then their comment was “that I should have brought them (the class) with me because they know lots about iPads!” They were right of course! They would have been great “little teachers”! One of the teachers actually did bring a few of her students with her to share their projects and it was awesome to see how skilled and comfortable they were with the technology! Because I had my computer with me today we watched our Photostory about our project again as some of the children were away on our sharing day and it was their first chance to see it! Then we had to dance to the music! Lots of fun! 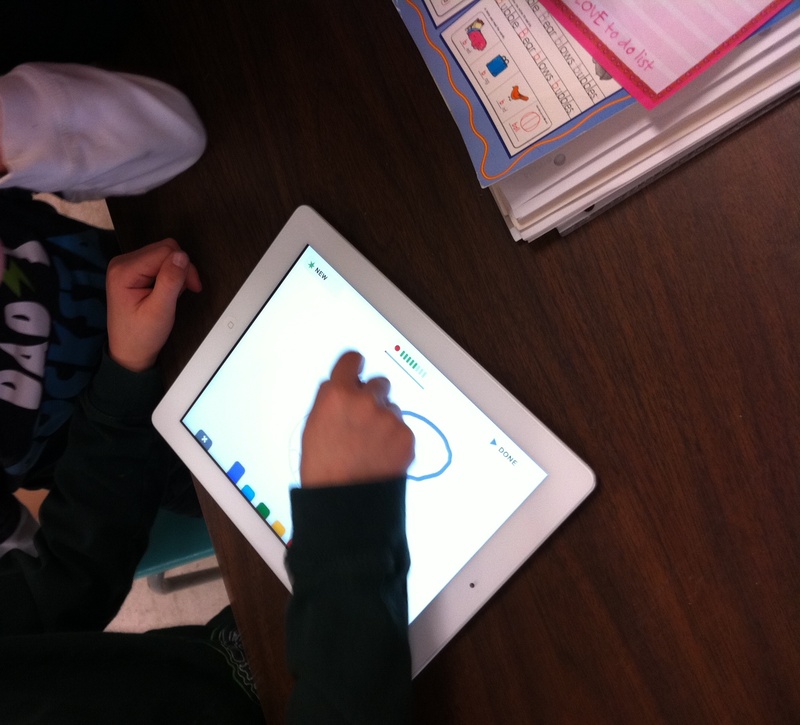 Some of the students got a chance to play with DoodleCast today and it is a hit! What amazes me is how quickly the children catch on to the apps! One demo and they are off! They seemed to really enjoy talking about their drawing while they were drawing and then enjoyed watching the instant replay. Unfortunately I forgot to show them how to save their work! Three little boys totally engrossed in their drawing and storytelling! Too cool! Today we read the story The Mitten by Jan Brett. 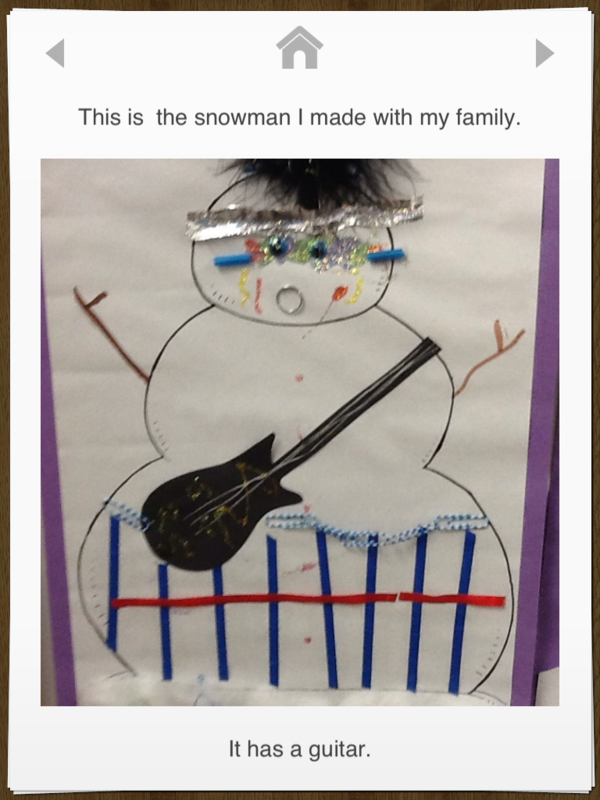 We have been very successful making it snow this year by reading snow stories and doing snow art. Every time it has started snowing we have been helping it along with great results! When it started snowing this morning we couldn’t resist working our magic once again! 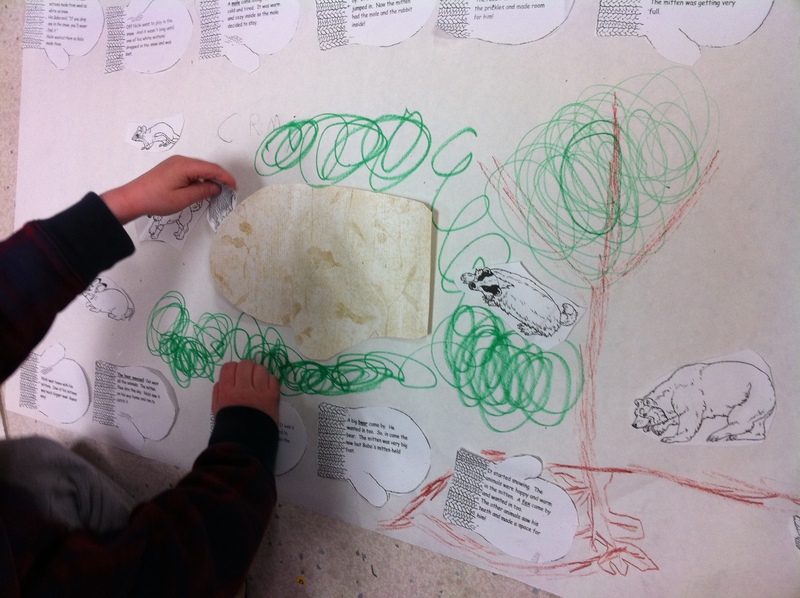 We made a story map to go along with our story! Each mitten contained a part of the story. 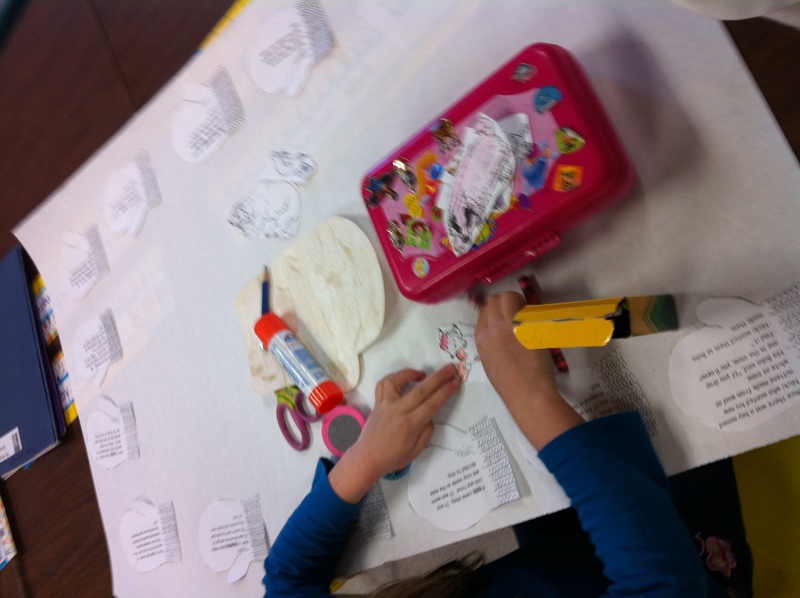 The children read the parts and put them in the correct sequence. We then put a mitten in the middle of our “snow” that the animals could snuggle into by hiding an envelope behind a wallpaper mitten that was camouflaged in the snow. We also read The Hat by the same author at storytime today. Jan Brett has a great website. It has some fun things for children to do. I found two more apps that I like for primary students. The first one is DoodleCast. 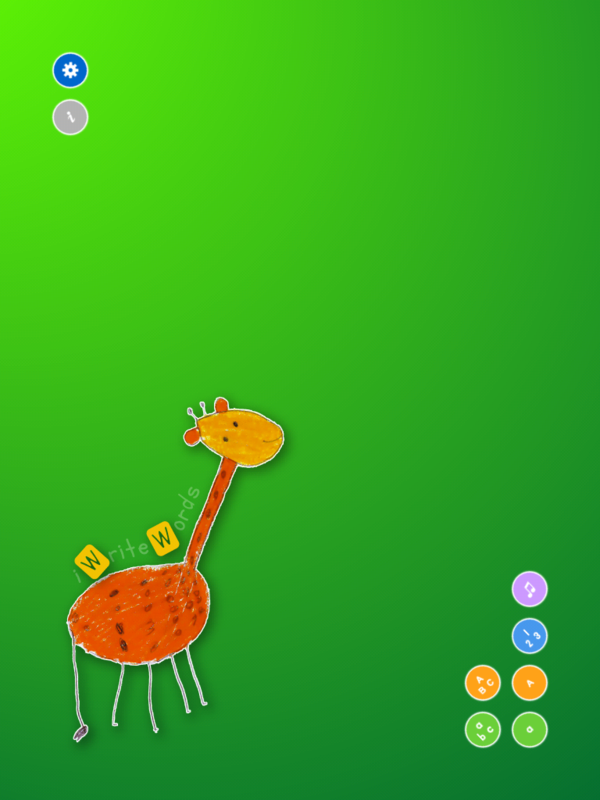 It is a cute little app that lets children draw a picture while narrating what they are doing in their picture. You can then play it back and watch the drawing unfold before your eyes and listen to the story behind the picture at the same time! 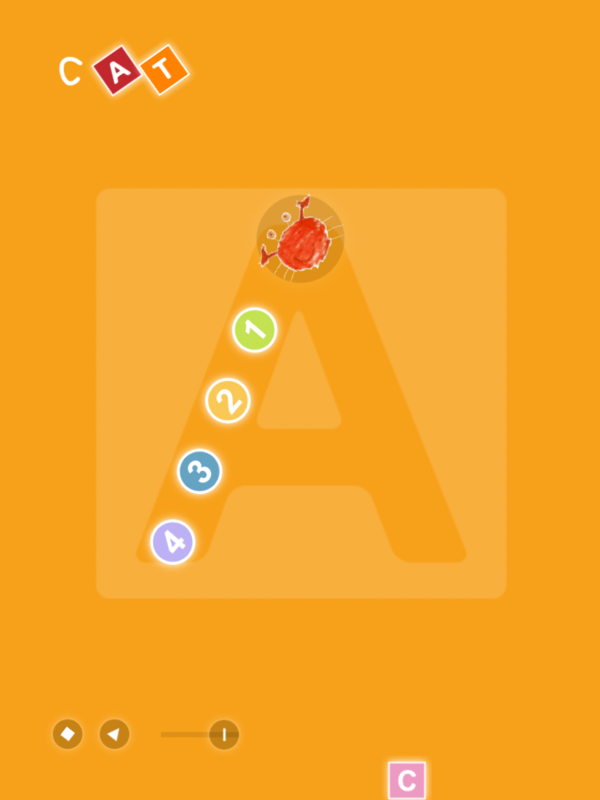 The other app is great for encouraging the correct formation of letters in printing. It only pays attention when you start the letter at the correct spot. As you print the letters you also spell simple words and see children’s illustrations depicting the words. It is called I Write Words.